Taken just outside my office last week. 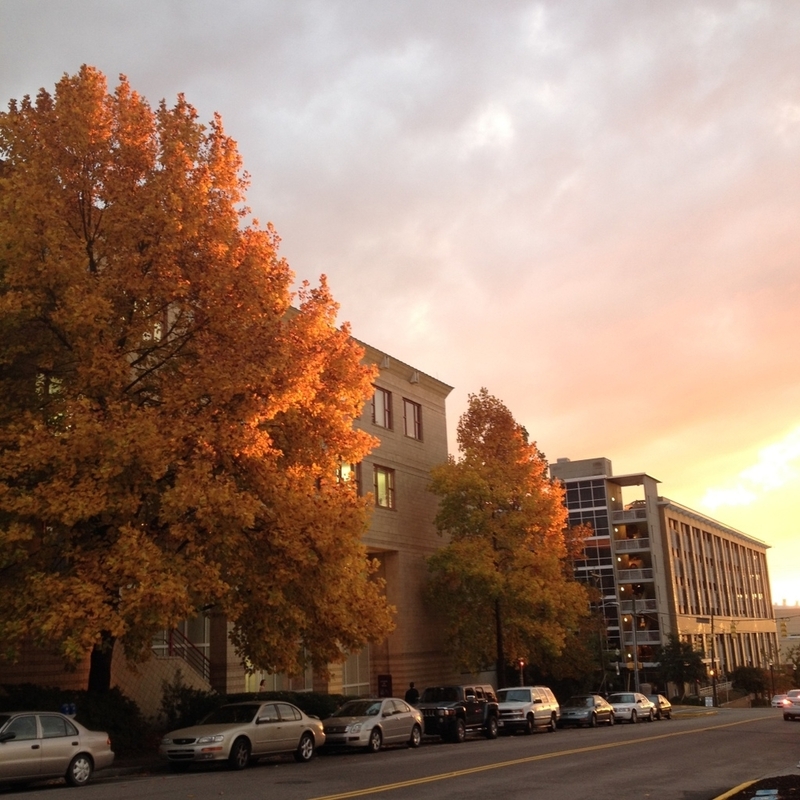 The leaves + sunset were even more radiant in person! Confession: I've developed a serious blog crush on Kelly-Ann Maddox of The Four Queens. Her posts for Global Entrepreneurship Week were delicious, thoughtful, and damn useful, especially this one on troubleshooting 10 common dilemmas for spiritual biz owners. Paige Zaferiou of Tarot and Tea has a secret weapon for combating depression. These anti-business-guru tips from Theresa Reed of The Tarot Lady are much needed in the entrepreneurial world. Always question the authorities. Briana Saussy is a my go-to lady for all things magical. Her instructions on how to write a petition are simple + potent. Are you caught in a habit loop? What do you do when someone else has your brilliant idea? Hey Shenee has you covered. Newer PostIntuitive Tuesday: What Is Intuition?